Unfortunately, there is no promotional scheme available on Bingo Hotpot to assist us in advertising the site. As such we have provided you with an alternative called BoyleSports Bingo, which is an impressive gaming site offering a great choice for any type of player. Place a Bet Online bring you the hottest site around offering big jackpots, the latest innovative technology and out of the box features called Bingo Hotpot. When you add in the huge range of games such as bingo, scratch card, casino and slots including the featured favourites Mystic Wilds and Fish Toons; you’ll soon realise Bingo Hotpot have you covered. With so much to choose from we’re sure you’ll wonder where you’ll find the time, that’s easy you can game on the go. If you have a smart phone such as an Android, iPhone or a Tablet device then you can access Bingo Hotpot when and wherever you like. Whether you’re relaxing in the bath, taking the dog for a walk or on your lunch break; grab your phone and check out these impressive promotions. •	50 bingo tickets for joining Facebook and Twitter. Registering is easy and when you’re a confirmed newbie you’ll be delighted to discover, that you’ll receive £15 credit no deposit required. Again this bonus will provide you with the chance to test out the site and make sure it fits your gaming needs before you part with any of your hard earned cash. So simply for adding £10 on each occasion you’ll walk away with £115 credit, making a grand total of £145; now that’s plenty of gaming credit. 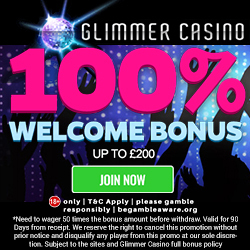 Even after the newbie bonuses are gone and you’ve become a regular, you can enjoy Bingo Hotpots weekly cash back which can be anything up to 20%; depending on the deposit you make. For those of you who prefer banking with cash then check out Bingo Hotpots deposit specials tab, where you could enjoy up to 100% casino cash depending on the amount deposited. It would be cruel not to tell your mates about Bingo Hotpot, so why not earn yourself a little bonus for it. For each person you refer you’ll receive a £10 Amazon voucher, which you can use however you like. If like us you love to spend time meeting fellow roomies, then maybe chat games is your thing. Join the experienced chat hosts and play easy games to win amazing prizes. If you’re a social media fan then check out Bingo Hotpots Facebook and Twitter pages. 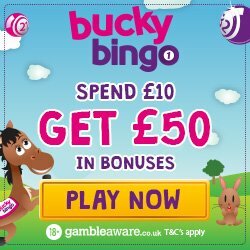 When you ‘Like’ or ‘Tweet’ either page you’ll receive 50 bingo tickets, as well as keeping up to date on the latest games and promotions. Bingo Hotpot offer the usual banking methods including Credit and Debit Cards, U Kash, Paysafe Card, Neteller and Skrill. 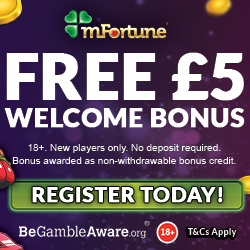 If you’re ready for some hot gaming fun and £15 credit, then head on over to Bingo Hotpot.